THE DEEP SEA hunt for missing flight MH370 has been suspended after nearly three years without result, the Australian, Malaysian and Chinese governments have said. The Malaysia Airlines aircraft disappeared en route from Kuala Lumpur to Beijing on 8 March, 2014, carrying 239 passengers and crew. The plane “has not been located” in the 120,000 square kilometre (46,000 square mile) search area of the southern Indian Ocean, a statement from the three nations said. “Despite every effort using the best science available, cutting edge technology, as well as modelling and advice from highly skilled professionals who are the best in their field, unfortunately, the search has not been able to locate the aircraft,” the statement added. The governments said the suspension, which was flagged by Malaysia earlier this month, was not “taken lightly nor without sadness” but that “to date no new information has been discovered to determine the specific location of the aircraft”. Investigators have so far confirmed that three pieces of debris washed up and recovered on western Indian Ocean shorelines came from MH370. Other pieces recovered mostly on western Indian Ocean shorelines have been identified as likely, though not definitely, from MH370. New analysis by Australian and international experts released in December concluded MH370 was not in the search zone – a long stretch of water within the so-called seventh arc where the plane was calculated to have emitted a final satellite “handshake” – and might be further north. 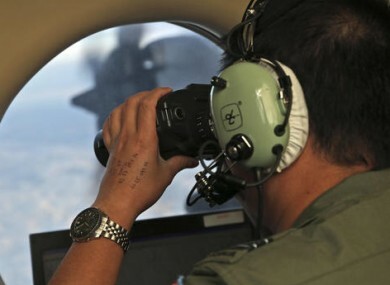 They identified an area of approximately 25,000 square kilometres with the highest probability of containing wreckage, but Australia and Malaysia said the report did not constitute a strong enough lead to extend the search. Next-of-kin association Voice370 said it was “dismayed” with the search’s suspension and called on authorities to extend the hunt. “In our view, extending the search to the new area defined by the experts is an inescapable duty owed to the flying public in the interest of aviation safety,” Voice370 said in a statement. Commercial planes cannot just be allowed to disappear without a trace. Email “Search for missing flight MH370 called off after 3 years”. Feedback on “Search for missing flight MH370 called off after 3 years”.